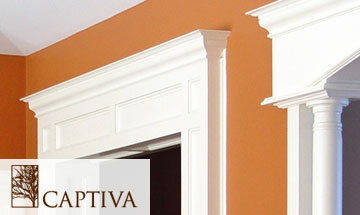 The details of fine millwork can make a home unique. Cleary offers everything from stock to custom millwork. Cleary Millwork’s large stocking inventory of mouldings, jambs, columns, and custom millwork make it easy for lumberyards to fill the needs of their customers from a basic trim package to intricate custom millwork. 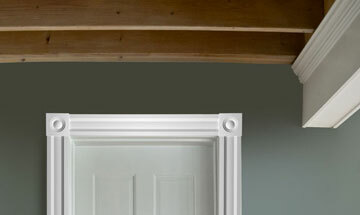 We carry a full line of standard stock mouldings available for immediate delivery. Our stock primed and clear pine lineal mouldings include an array of casings, bases, crowns, sills, chair-rails, and much more. 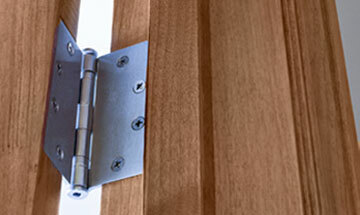 Our Architectural Products Division manufactures a variety of custom half round casings available in 5 patterns. The most economical product to use for paint grade casing is MDF (medium density fiberboard). Other readily available species include pine, poplar, red oak, & sapele. Our library of custom moulding knives includes over four thousand profiles and grows daily. Whether you need 10 feet or 10,000 feet of mouldings, simply choose a profile and a wood specie, and we’ll custom make your mouldings just for you. 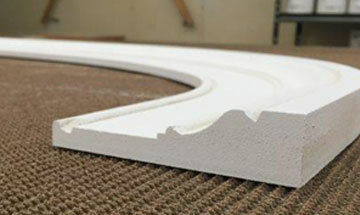 We offer prefinishing on custom mouldings using our premium primer or clear coat. Cleary is the largest stocking dealer of WindsorONE in New England. 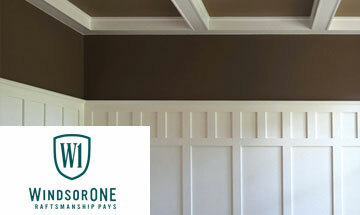 From the precision quality of historically accurate mouldings to the unique whole room concept, the WindsorONE Moulding collections is perfect for any home. 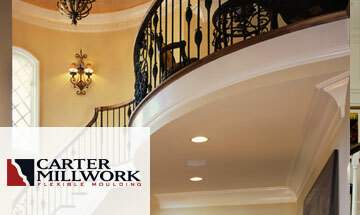 Carter Millwork moulding and trim work is made of polyurethane material – a strong, long-lasting and cost-effective alternative to wood and polyester products. Each piece of moulding is individually inspected to ensure compliance to our exacting quality standards. 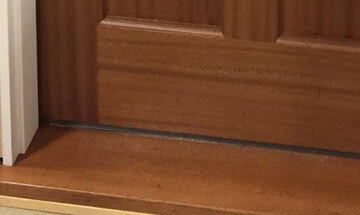 These decorative corner blocks are used to dress up door and window trim. 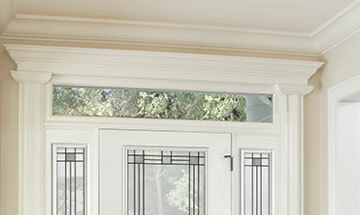 Rosettes eliminate the need for complicated miter cuts making trim installation faster and easier. Although rosettes were most commonly used with Victorian bellyband, today they are also used with colonial or modern trim work. Manufactured to architecturally correct proportions. We have 5 profiles IN STOCK in Poplar. Custom rosettes are available in any size, shape or wood specie such as Red Oak, Sapele, Cherry or Maple. Call office for pricing. Universal casing packs, suitable for most window brands, are available with many options for casing styles and sizes. Casing packs consist of different types of mouldings cut to a specified length, bundled together or set up (MSG) and labeled making it easy for the end user to install. 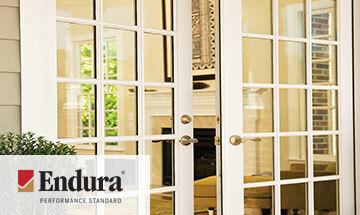 Combine many of the fine exterior door styles with quality custom entrance trim and transoms from Cleary Millwork. Shop built garage door transoms include PVC, vinyl and primed wood. Cleary also builds custom direct set exterior door transoms available in 7-10 days for single doors, doors with sidelights and double doors up to 6′. 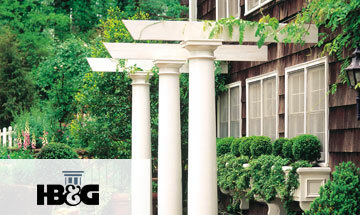 Other products available special order from HB&G include outdoor living products such as PVC and fiberglass pergolas, privacy screens, entry arbors, trellis/eyebrows and PermaPorch ceilings. Machining, set up of frames only up to 3/0 x 8/0, ripped single jamb to a specified width, kerfed jambs are a few of the available options that Cleary can provide. See Cleary’s price catalog for all available sizes. Contact your sales representative for details. Cleary Millwork stocks wood t-astragals and flat astragals in a variety of sizes and species along with Endura’s Ultimate astragal. See Cleary’s price book for all sizes and options. “Nantucket Series” exterior inswing and outswing sills made with sapele mahogany. 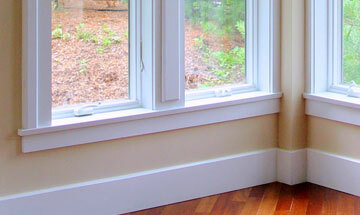 Built in Somerset, MA Captiva fire-rated wood jambs are available 20, 45, 60 and 90 minute ratings. Our innovative frame system helps ease the installation process through the use of adjustable metal clips, which provide additional strength while avoiding any exposed fasteners. 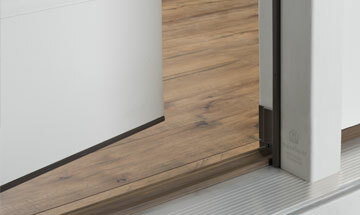 The frame system also allows for easy removal and re-installation without damaging the finished frame. Intumescent edging is built into the jamb. During a fire, this edging expands to seal the room. 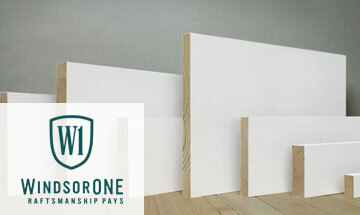 Cleary Millwork offers a many sizes in stock of WindsorOne bead board, shiplap protected boards and traditional nickel gap boards for wainscotting, wall cladding and more. 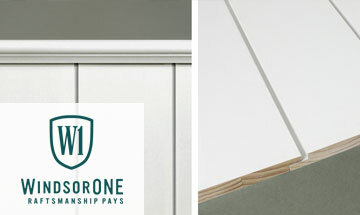 S4S WindsorOne trim boards available in traditional and protected. 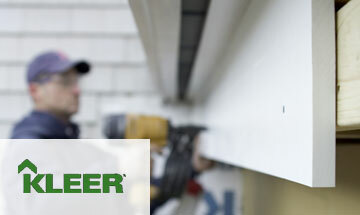 Kleer™ Trimboard is expanded cellular PVC that is superior to wood in virtually any non load bearing application. Kleer™ PVC trimboard is highly resistant to moisture, rot, mildew, cupping, splitting, delamination, or warping; and Kleer is also resistant to insects, including termites and carpenter ants. Cleary Millwork stocks a variety of custom milled hardwood boards in red oak, poplar, white oak, sapele, hard maple, cherry, eastern white pine and Spanish cedar. We also stock shelving and plywood.